De Landa, Manuel. Homes: Meshwork or Hierarchy?. Mediamatic, 1995. Web. Mar. 2010. Manuel de Landa asks about homes: are they planned or self-organized? To answer this question, he looks into bird territories. 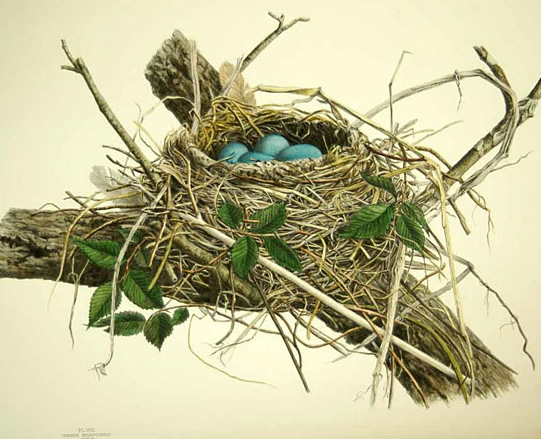 When the question about how birds create a home territory was raised, it was answered with homes are planned. But the question that follows that is Who does the planning? De Landa takes Deleuze and Guattari’s answer: homes are the result of the interaction of a non-hierarchical set of brain functions and the expressive qualities of the territorial markers themselves, and he considers that answer corrobored by theories of non-linear dynamics and Connectionist approach. That does it mean, for example with birds, that each neural net in the bird’s brain is a non linear stable state (or attractor), that looks for a stable pattern in the environment, or pre-structured landscapes. That relational possibilities, between patterns in organic life and their environment, is called affordances. And, finally, is about the relation between genetic material and pre-structured forms of energy. De Landa says that homes are not planned or self-organized, but the result of the interaction between both systems. But humanity finds easier to think in homogeneous terms, looking for stables hierarchies, rather than heterogeneities. De Landa thinks that the secret of a better future lies in a non-homogenous thinking.